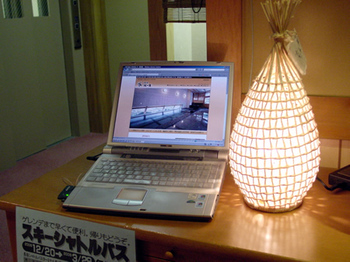 We have a free Wireless Internet Access at the lobby. There is also a PC for our guests. The Kids Park is located at the Hikage Gelende which might be considered as the main gelende of the Nozawa Onsen resort at the base of the mountain. In the Kids Park, kids and their parents can enjoy with snow together! There are some restaurants, ski school, information center and child care center near the Kids Park, so it should very safety and convenient for everybody. There are many rental shops in this town and we have special contract with one of them. The shop is only 2 minutes away from our Ryokan and you can get big discounts at there. Each of the folloings is 1,000yen per day. *500yen for Goggle, hat and gloves. I am an owner of Kawaichiya Ryokan located in Nozawa onsen. We have a lot of guests coming from overseas especially during winter season. Some of them come to Nozawa onsen every year and we socialize with some of them on a family basis. 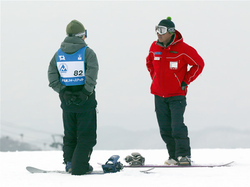 This website shows guidance, events, happening and discovery regarding Nozawa onsen. I do hope to make this charming.